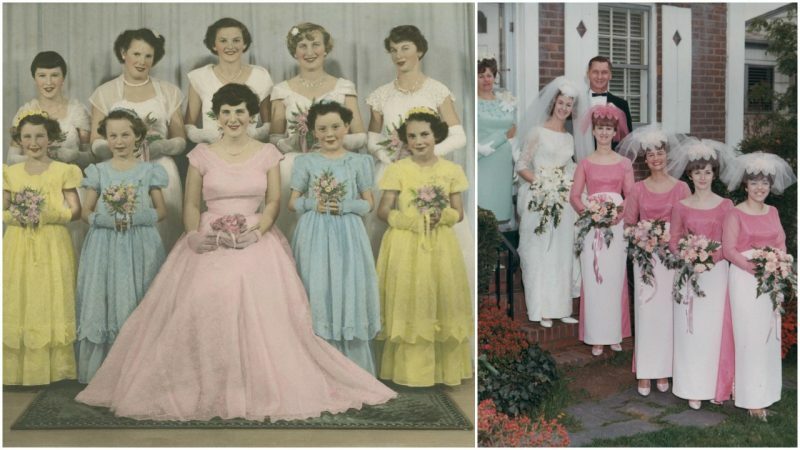 Always the bridesmaid, never the bride? 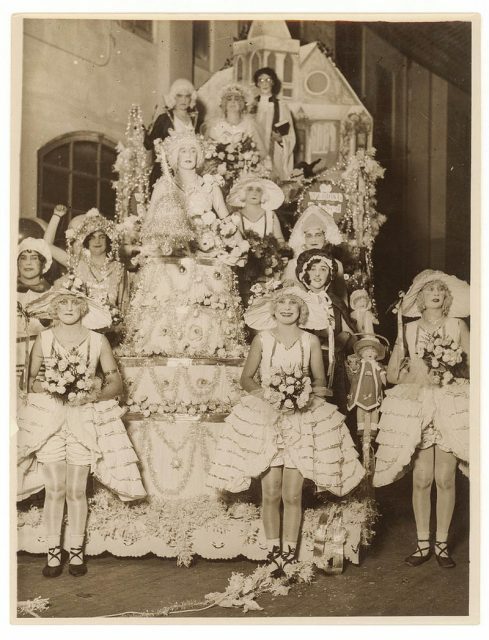 Well, that doesn’t mean you can’t dress up for the occasion. 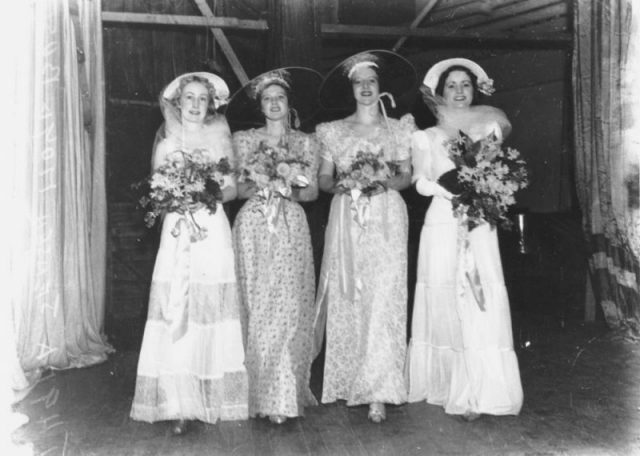 Just make sure not to outshine the bride, for that constitutes a number one faux pas when it comes to bridesmaid duty. 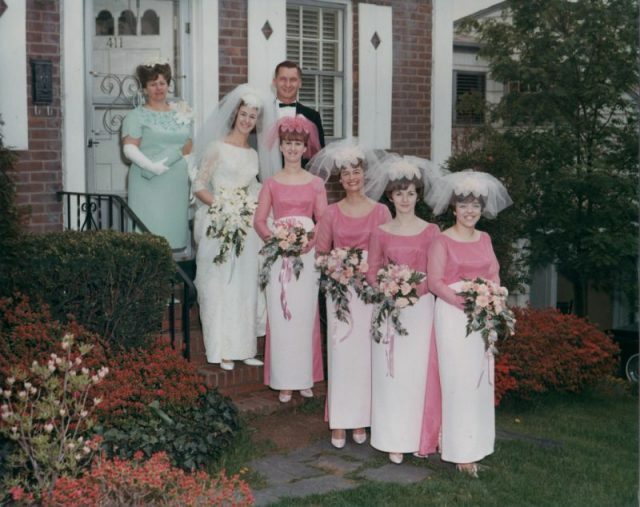 Apart from being present as the bride’s entourage during the wedding, the bridesmaid’s obligations include helping with all the pre-marital ceremonies such as the bridal shower or bachelorette party. 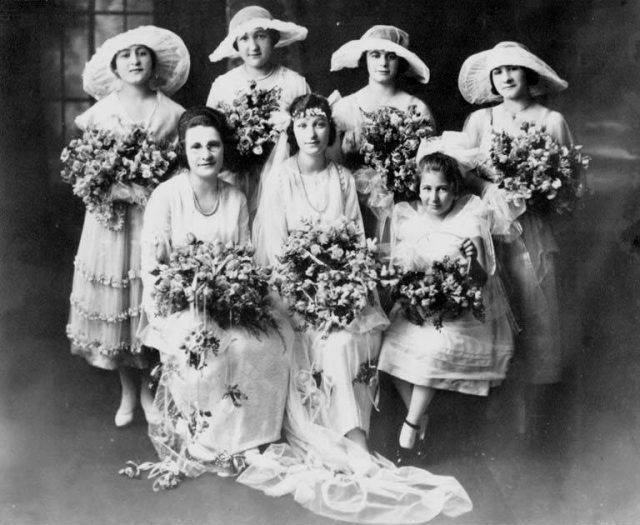 The history and the origin of the bridesmaid is usually related to socio-economic conditions, family size, and the social standards preserved by tradition. 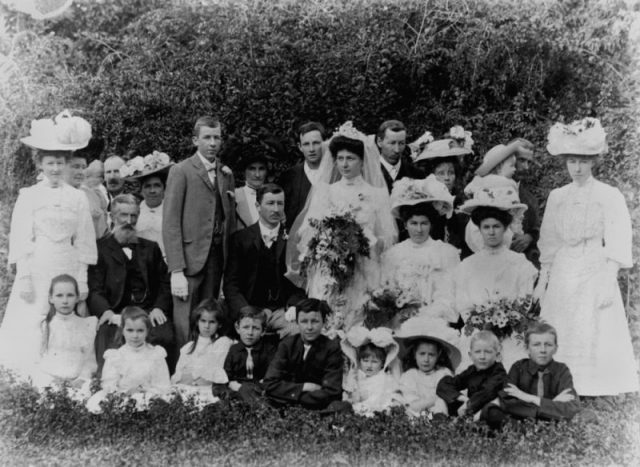 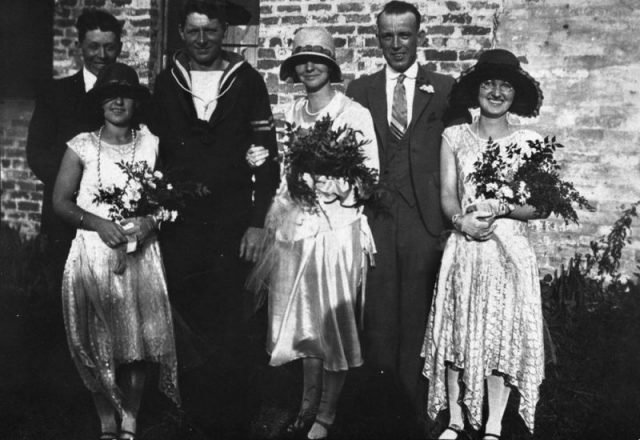 Wedding party of Charles Rose and Rosa Simmonds, 1919. 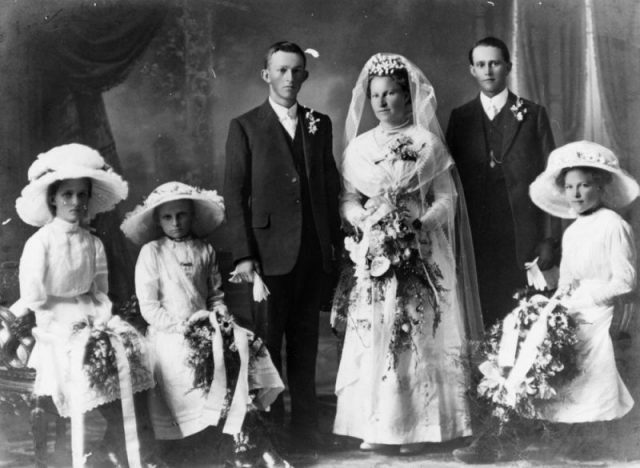 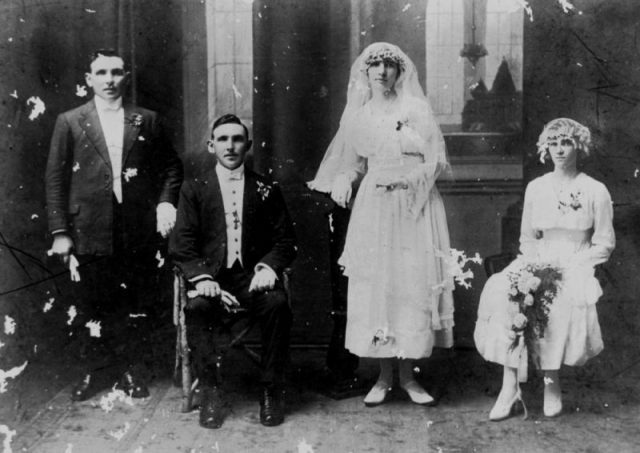 Pat Mullins and Jean A. Gregory, married April 5, 1918 at West End Church, Ingham Road, Townsville. 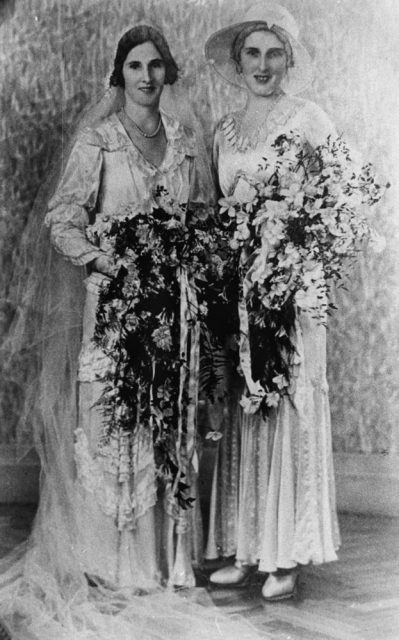 Bride, Julia Drynan, and her attendant, Eva Drynan, c. 1930. 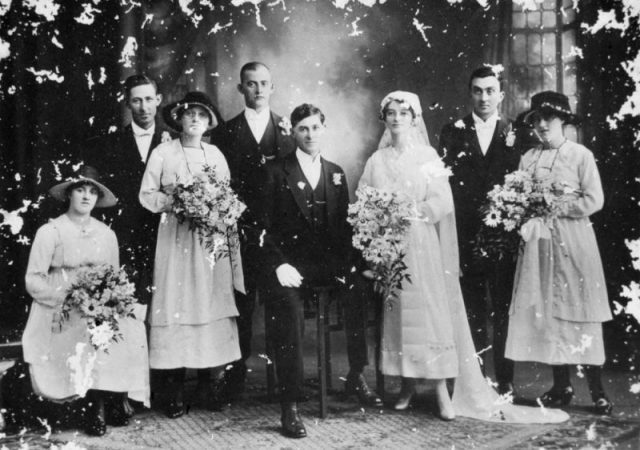 The Bible offers an explanation of its own regarding this particular role in the wedding ceremony, in the in the Book of Genesis, where it is mentioned in the story of Jacob that his two wives ― Leah and Rachel ― first introduced the institution of bridesmaids during their wedding to Jacob. 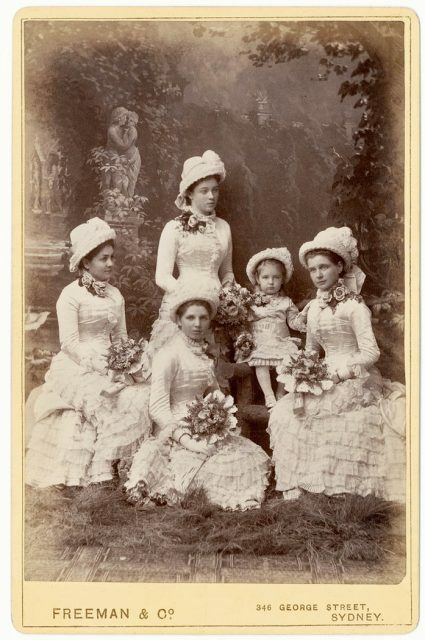 The women were referred to as “handmaidens”, most likely being servants or even slaves. 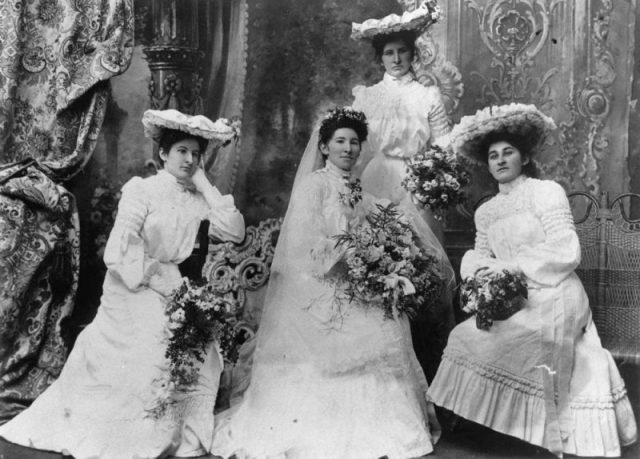 Earlier in history, the bride would partially cover the expenses of the bridesmaid, by purchasing her the dress she would wear during the wedding or covering travel expenses. 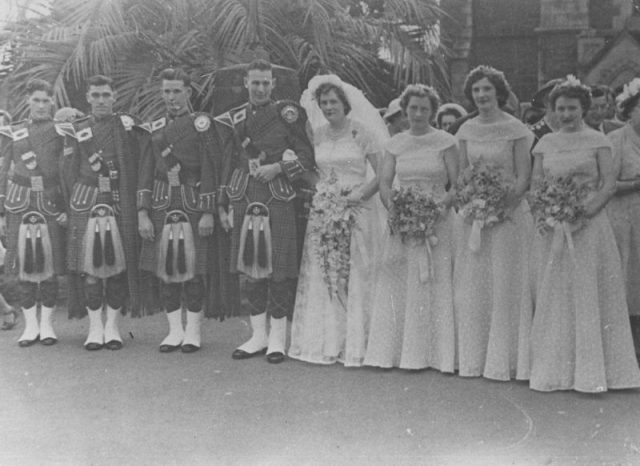 Wedding group outside a church, 1951. 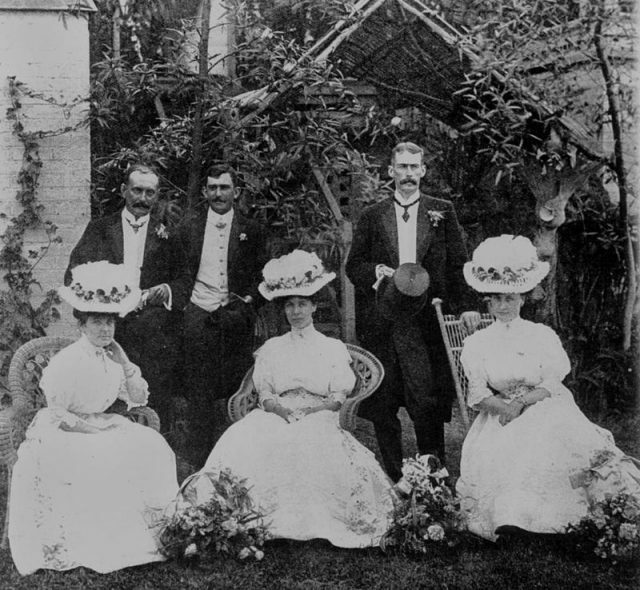 Wedding party of Ernest and Marie Muller, 1912. 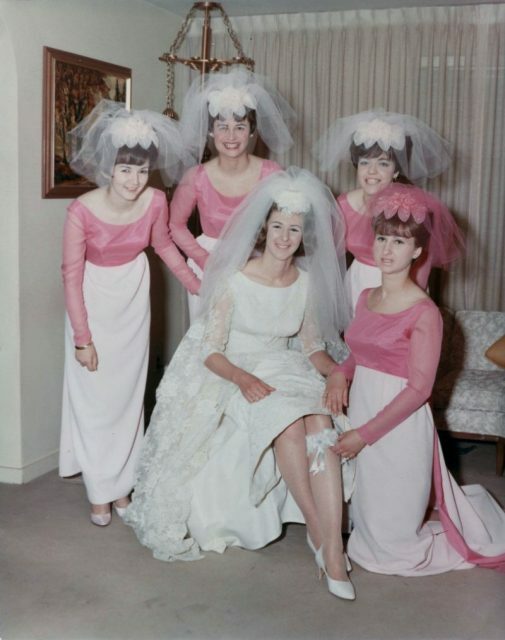 Over time this custom has died out, however, after taking a look at this selection of photos, one might conclude that these particular brides had their fingers in choosing the dress. 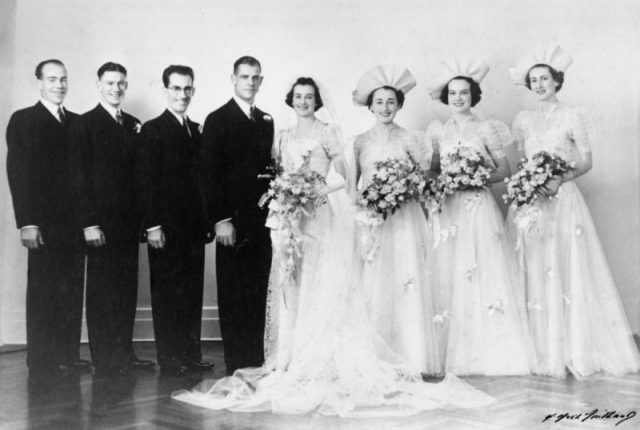 On the other hand, it just might be the short-lived trends that ended up tucked away in the not-so-glorious moment in fashion history.